(i) the limit on withdrawal from current accounts has been enhanced from the current limit of Rs. 50,000/- per week to Rs. 1,00,000/- per week and it extends to overdraft and cash credit accounts also. 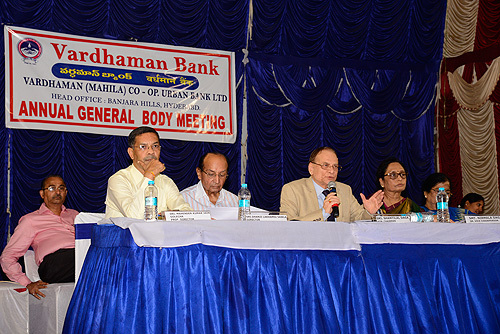 Vardhaman Bank held its Annual General meeting on 13th August, 2016 to adopt Statement of Accounts for the financial year 2015-16 and transact other business. On the occasion Chairman Sri Shantilal Daga addressing the members. In the other photograph Sr. Vice Chairperson Smt. 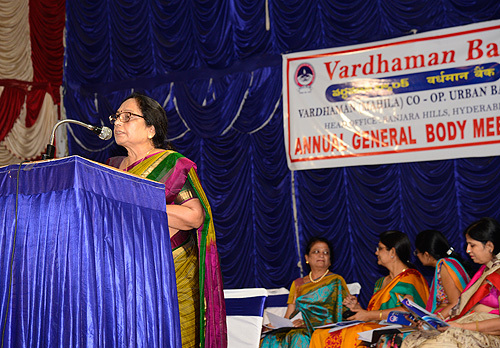 Nirmala Daga delivering Directors Report. The aggregate business has increased to Rs 340 cr in 2015-16 as against Rs 296 cr in 2014-15, with an increase of 15%. The Bank Deposits for the year 2015-16 increased to Rs 220 cr from Rs 190 cr of 2014-15 with an increase of 15%. Advances for the year 2015-16 increased to Rs 119 cr from Rs 106 cr of 2014-15 with an increase of 13%. 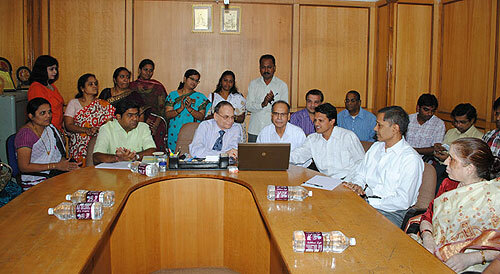 The CRAR has been maintained at 16.03% as against the stipulation of 9% by RBI. Bank paid a Dividend of 20%. Implementation of Core Banking in Vardhaman Bank was inaugurated by the Chairman of the Bank, Shri Shantilal Daga, on 15/12/13 in the presence of officials and staff of the Bank. Core Banking shall facilitate customers to deposit / withdraw cash and also deposit cheques at any branch of the Bank without any extra charges. 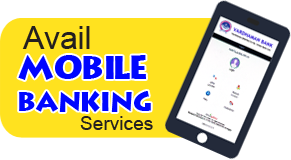 Bank's future plans include issuance of ATM cards, rolling out of Internet banking, SMS Alert facility, Aadhaar - linked transaction and a host of other technology - based facilities.